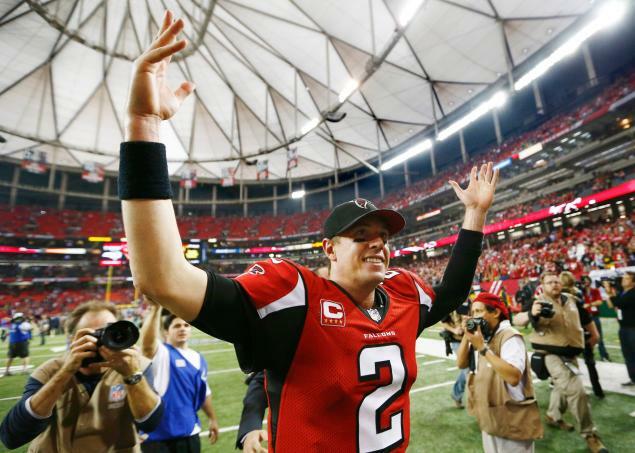 After being unranked in last year’s countdown, Matt Ryan comes in at 17 on the Top 100 Players of 2013 countdown. Of the four Atlanta Falcons to appear on the list (Tony Gonzalez at 47; Roddy White at 39; Julio Jones at 26), Ryan is (obviously) ranked the highest. Ryan posted career numbers last season. He passed for 32 touchdowns, 14 interceptions, 4,719 yards, and lead the league with a 68.6 completion percentage – by far the highest of his career. With the end of the three-day minicamp today, the Atlanta Falcons have released the schedule for their 2013 training camp. The dates and times have been copied verbatim from the official Atlanta Falcons website. The Atlanta Falcons began minicamp on Tuesday. As expected, Tony Gonzalez has been excused from minicamp, but participation is mandatory for other players. As outlined in this article from the Atlanta Journal-Consitution’s Dawson Devitt, there are a plethora of storylines to tackle, ranging from how well rookie cornerback Desmond Trufant catches up after missing all of the OTAs to how the offensive line shuffles itself out. I’ve compiled a list of tweets from the Falcons’ digital content manager, Jay Adams, concerning today’s minicamp. 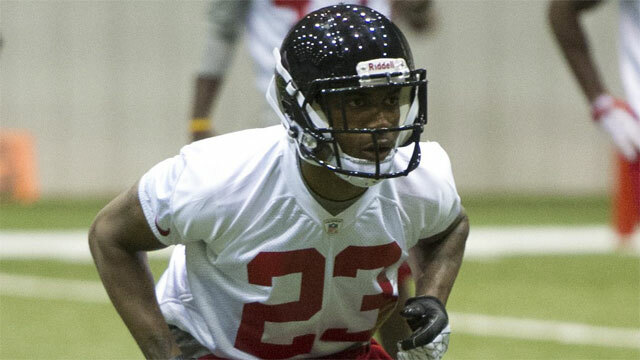 The Atlanta Falcons have signed cornerback Robert Alford, who was their second-round pick (60th overall) of the 2013 NFL Draft. Alford played college football at Southeastern Louisiana. While there, he totaled 10 interceptions and 21 pass deflections. He’s expected to compete with Robert McClain for the starting nickel spot. There’s also a chance he could be placed on punt return duty to take advantage of his speed. The Falcons currently have two unsigned draft picks: cornerback Desmond Trufant (first round; 22nd overall) and quarterback Sean Renfree (seventh round; 249th overall). 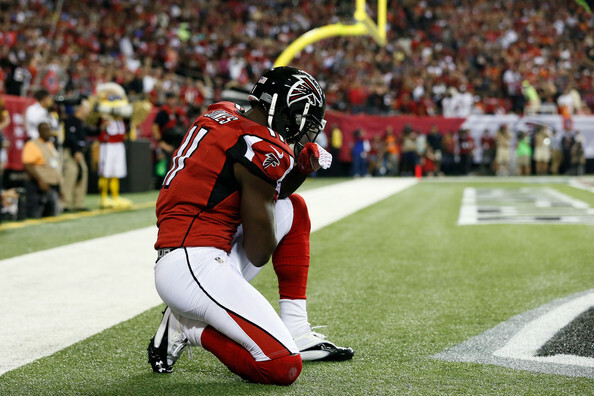 Julio Jones is the third member of the Atlanta Falcons to appear on the NFL Network’s Top 100 Players of 2013 countdown. Jones was voted as the 26th best player in the NFL by his peers. Last season, the wide receiver was mysteriously absent from the list. Last season, Jones totaled 79 receptions for 1,198 yards, and 10 touchdowns. He’ll undoubtedly have better numbers in his third year. 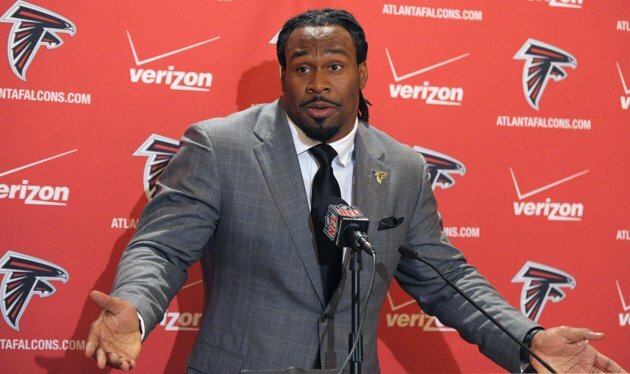 He joins teammates Tony Gonzalez and Roddy White (ranked 47 and 39, respectively) on the countdown. 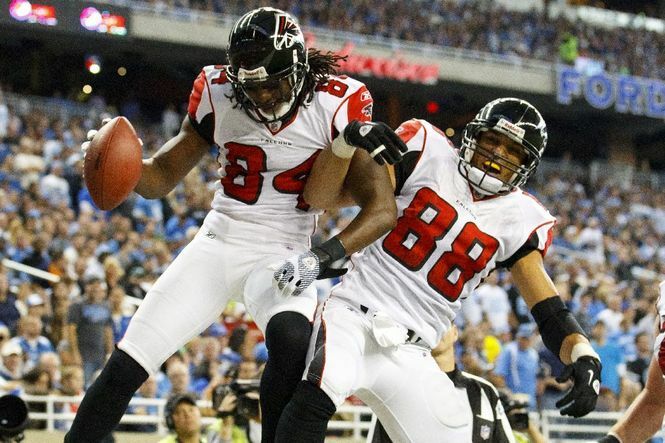 Two Atlanta Falcons have cracked the NFL Network’s Top 100 Players of 2013 countdown: Tony Gonzalez was the first Falcon to appear at 47, and Roddy White came in at 39. Last year, Gonzalez was ranked 46, and White was ranked 65. Although their rankings are in the upper half of the list, I would argue both Gonzalez and White are underrated; in fact, the voters on NFL.com would agree as they’ve voted both players as underrated. The Atlanta Falcons have announced have promoted wide receivers coach Terry Robiskie to the assistant head coach position. Prior to coming to Atlanta, Robiskie served as the wide receivers coach for the Miami Dolphins. 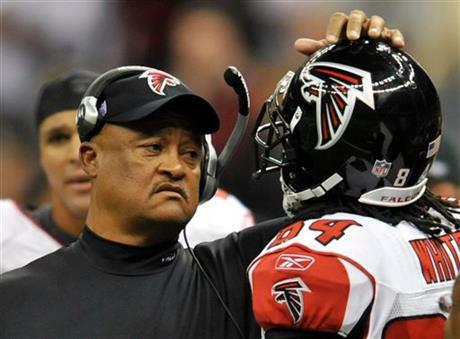 He was hired by the Falcons in 2008 to fill the same position, and he was instrumental in the development of Roddy White and now third-year receiver Julio Jones. Last season, Jones and White combined for a league-best 2,549 receiving yards on 171 catches. The duo also totaled 17 touchdowns. Robiskie has been an NFL assistant for 31 years, including interim head coach stints with the Cleveland Browns in 2004 and the Washington Redskins in 2000. The promotion is undoubtedly deserved for Robiskie.